Neil Harris has guided Millwall to eighth in the Championship. Millwall have no new injury concerns for the visit of play-off rivals Bristol City. Boss Neil Harris picked the same side for the eighth time in nine fixtures for the 2-2 draw at Ipswich on Monday, with the Lions now unbeaten in 14 league games. Aiden O'Brien, Tom Elliott, Fred Onyedinma, Tim Cahill and Ryan Tunnicliffe are waiting in the wings should Harris opt to freshen things up. Midfielder Ben Thompson is still a doubt due to an ankle problem. 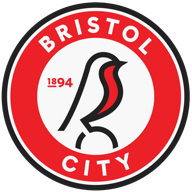 Bristol City are looking to bounce back from a 1-0 defeat by Brentford. Manager Lee Johnson could bring Callum O'Dowda and Matty Taylor back into his squad. Winger O'Dowda had an injection in his ankle a few days ago and will undergo a second scan before he is passed fit. Striker Taylor is back in training after undergoing a double hernia operation in February. Highlights of the Sky Bet Championship game between Ipswich and Derby. This will be the first meeting between the sides at the Den since New Year's Day 2013, a 2-1 victory for Millwall. The Robins haven't lost back to back league visits to Millwall since November 1981. 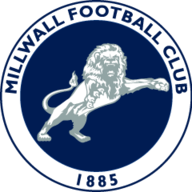 Only Fulham (18) are on a current longer unbeaten run in the Championship than Millwall (14). This is their longest run, exclusively in the second tier, since a 15-match streak ending in October 1971. Bristol City have won just two of their last 11 league games (D5 L4), and haven't won away from home in the league since beating Sheffield United in December. Steve Morison has assisted Lee Gregory five times so far this season, the most by one player to another in the Championship. No Bristol City player has created more chances (53) or provided more assists (8) this season than Jamie Paterson. Highlights of the Sky Bet Championship game between Bristol City and Brentford. Millwall have been on an incredible run and they'll have no idea how they didn't make it five straight wins at Ipswich on Easter Monday.